As most industrial marketers know, newsletters are one of the most valuable advertising mediums. As a newsletter advertiser, you benefit from access to a highly engaged audience of decision makers who rely on these publications as a source of valuable news and content. • WHO am I looking to reach? • WHAT do I want to communicate to this audience? • WHERE can I reach them; what publications are they reading? • WHEN should I schedule my advertisements? • WHY am I running this campaign; what results do I expect? Once you’ve built the framework for your campaign, then you need to ask yourself, How do I most effectively deliver my message to my audience? You should be aware that newsletter advertisements do not perform like traditional forms of display advertising. Engineers and technical professionals look to these newsletters mainly for new, timely and relevant content. And research shows that advertisers who consistently use fresh ad copy see better results. On average, advertisers see a 20 percent decline in performance when reusing advertising content just one time. And this performance decline increases steadily after each reuse. To make the most of your newsletter investment, submit original content for each ad placement. Even if you are focusing your campaigns around a single or limited number of products, technologies, or offerings, you will see better results with a frequent rotation of new ad copy. impression. Pull the reader in with your message. with your headline and copy. Our research shows that photos perform better than logos. An image with a white background is optimal. 3. Emphasize the benefits – and not necessarily the features – of your product or offer. building thought leadership and awareness. News, research and analysis designed for industrial sales and marketing professionals interested in the latest trends in online marketing. 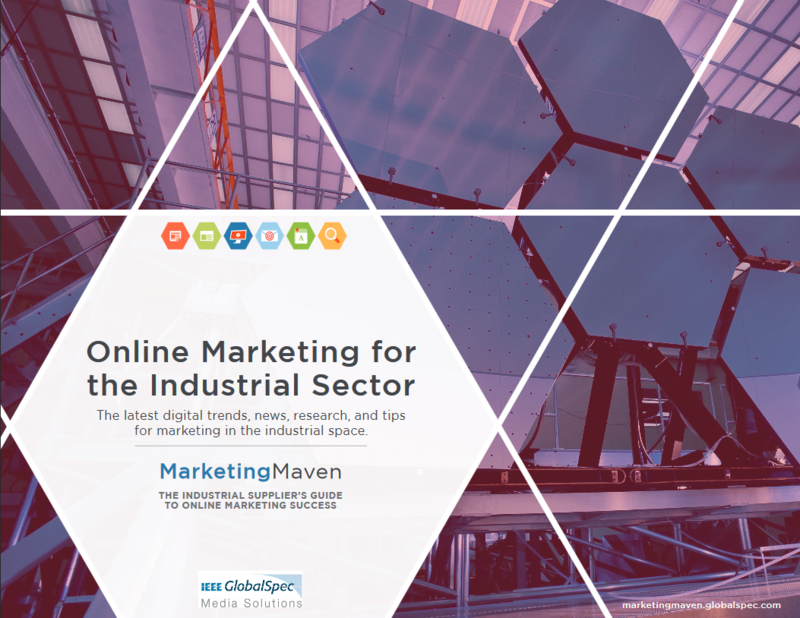 Free eBook: Online Marketing for the Industrial Sector. Selection of marketing articles compiled from past editions of the Marketing Maven. © 2017 IEEE. All Rights Reserved. Reproduction in whole or in part without permission is prohibited.